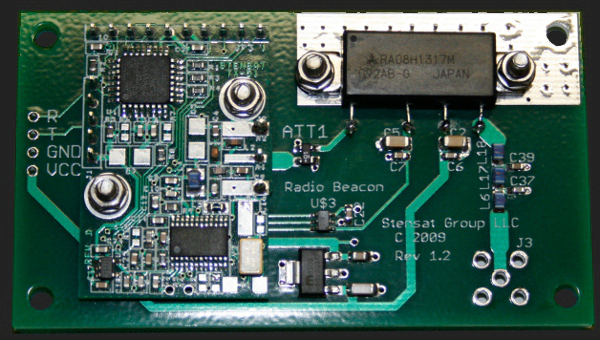 The Stensat radio beacon is a small FM transmitter for satellites. It is capable of generating AX.25 Unnumbered Information (UI) packets at 1200 bps AFSK and 9600 bps FSK. The 9600 bps FSK signal is compatible with G3RUH modulation. Power level is adjustable from 0 to 3 watts operating on a single 5 to 12 volt supply. The beacon has flown on several cubesats. 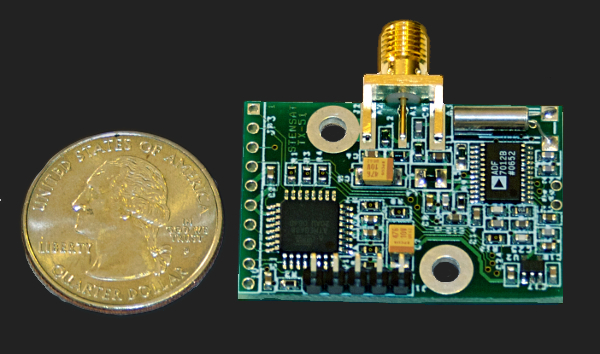 The CANSAT Transmitter Module is an RF subsystem designed for applications where a low-cost low-power radio link is required. The Transmitter Module is compatible with the AX.25 protocol using Unnumbered Information (UI) packets, and is capable of operating at 1200 bps and 9600 bps. The data packets can be formatted to conform to the APRS packet structure. Arduino compatible with ESP8266 WiFi Processor with a separate 1 ampere 5V regulator for powering servos. Kit includes integrated LEDs and speaker and sensor modules. Two sensor modules are included; Ultrasonic/light/thermal sensor module and accelerometer mdoule. Can be powered from USB. Servos require external power. This fully programmable rover kit is easily programmed using the Arduino development tools. Features include a rocker suspension system allowing the rover to operate on uneven terrain. Full lesson plans are included that covers assembly, programming, autonomous operations and WiFi to control the rover. It takes about two hours to assemble using detailed instructions with many pictures. Software works on Windows, Linux and Mac. The kit is complete and includes the Sten-SLATE ESP SLATE board with integrated WiFi, an ultrasonic range sensor, light sensor, LED and a robotic arm with two servos. Simple hand tools are required to assemble. Requires 6 AA batteries. This fully programmable low cost robot kit is easily programmed using the Arduino development tools. It is a two-wheeled robot that includes two LEDs, a speaker, a light sensor and motor driver integrated and can be controlled via programs. The LC BOT also has header pins to allow access to spare digital and analog pins, I2C and a servo. The lesson manual teaches how to use all parts of the robot. Requires 4 AA batteries. 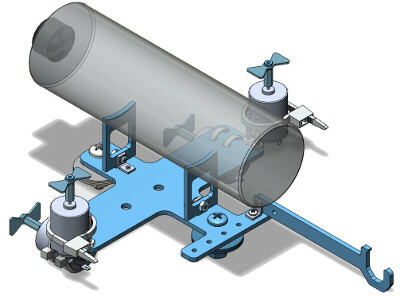 This is an updated low cost small tethered remotely operated underwater vehicle. It is designed to work in small water tanks such as open stock tanks of 100 gallons or greater and bath tubs. The ROV is a 4 motor design with two horizontal thrusters and two vertical thrusters. The motors are completely exposed to the water and will work for several months depending on the quality of the water. The motors are inexpensive and easy to replace. A hook is included for the ROV to pick up and move objects. Soldering and simple hand tools are required for assembly. Requires 2 AA batteries. 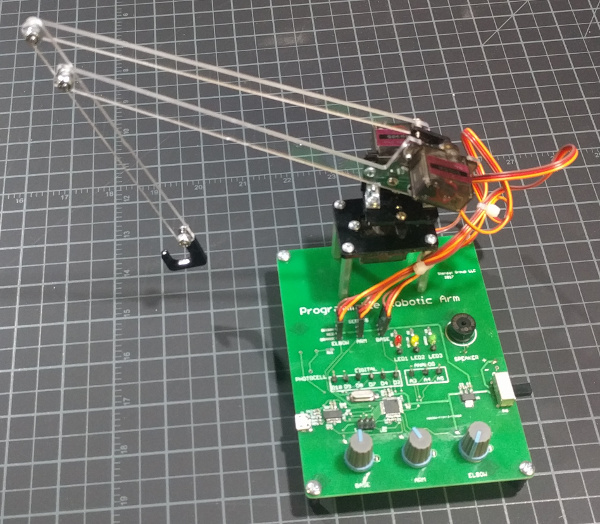 The robotic arm is an electronics kit a simple robotic arm with three metal geared servos and acrylic components. The end effector is a simple hook. The robotic arm includes an Arduino compatible processor, three potentiometers, a push button, LEDs and a speaker. The included lessons teach basic electronics and how to control LEDs, speaker and use inputs to control servos. A second lesson teaches how to write programs on a computer to interact with the robotic arm and the controls. No soldering required. Can be assembled with simple hand tools. Requires 4AA batteries.